BRNDWGN and Abakus Solutions were behind the creation of an investment calculator application for Mediterranean Bank. The site was expertly design by BRNDWGN whilst the development and content management system was in the hands of Abakus Solutions. 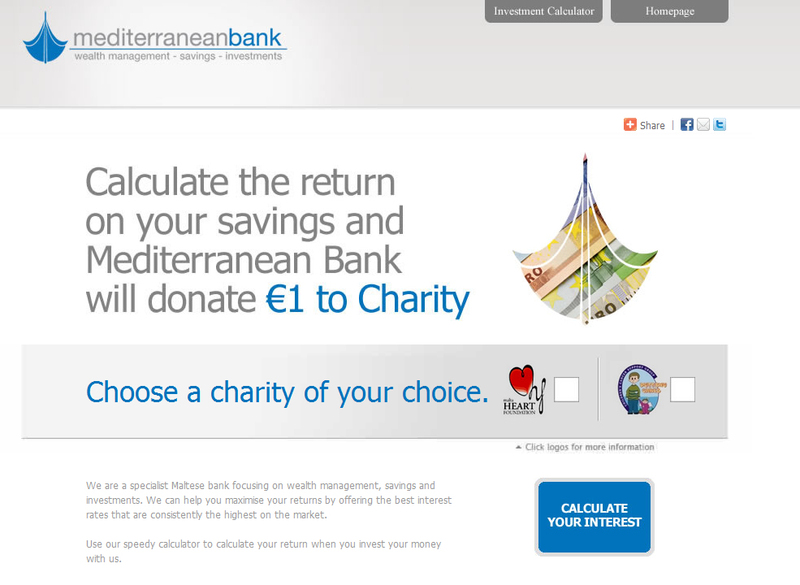 The investment calculator application was developed to be part of a charity campaign whereby for every individual calculating their investment on www.medbankforcharity.com.mt, Mediterranean Bank would donate EUR 1 to a charity of the individuals’ choice. Mediterranean bank is a Maltese bank focusing on wealth management, savings and investments.